St. Patrick’s College is one of the oldest third-level educational institutions in Ireland and has enjoyed a leading position in the area of primary teacher education in Ireland since it’s foundation in 1875. Image Supply Systems has provided AV sales and support services for St. Patrick’s College Drumcondra since 2007. 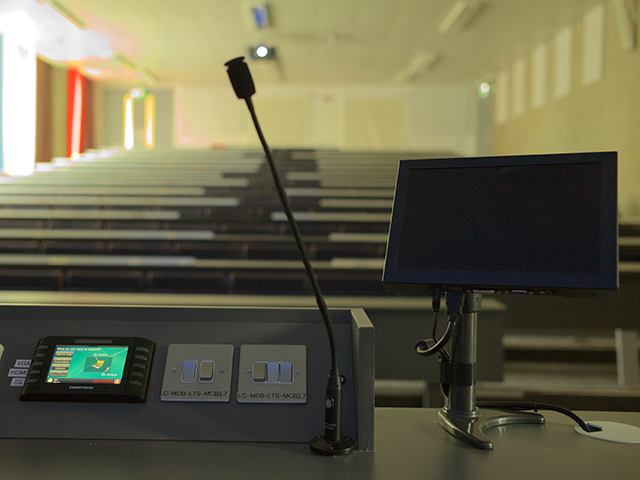 In late 2014 following tender process, we were appointed to carry out the AV fitout of three new buildings in St. Patrick’s College. Installation was completed in 2015. The ‘East Building’ comprising library with ancillary teaching, seminar and meeting rooms. The ‘West Building’ comprising lecture theatres and workshops. The ‘Sports Building’ comprising of a sports hall, fitness suite and ancillary areas. 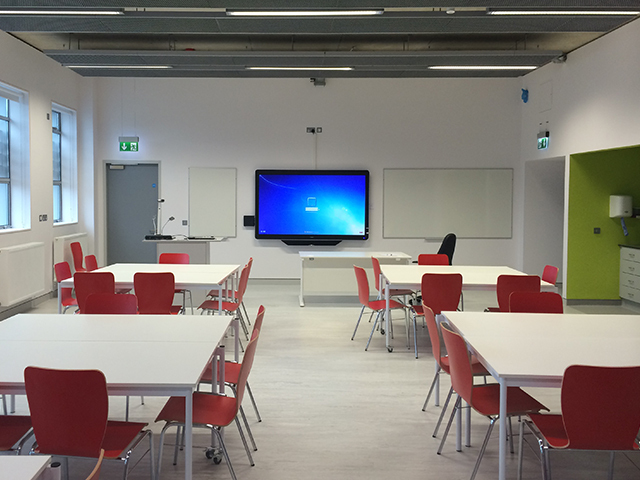 Cutting edge teaching and learning technology was incorporated into our design. 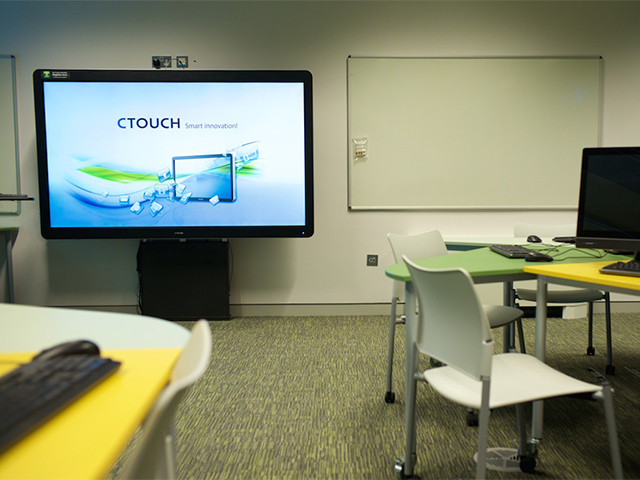 Classrooms, Digital Learning Labs, Seminar Rooms and the Boardroom have been fitted with CTouch 65” and 84” LED 4K Touch screens. A Crestron Room View system (asset management) has been implemented, catering for the network management and control of AV resources. Professional quality control systems, data projection, custom lecterns, sound systems, visualisers, lecture capturing and digital signage was integrated into the three buildings. Throughout works implementation we liaised closely with College Staff, the Main Contractor, Electrical Subcontractor and associated Subcontractors to ensure works were carried out accurately, to a high standard and in line with the overall project timeline. Our AV works have proven to be very successful. The systems we installed offer comprehensive functionality and cater for users’ needs on a daily basis very effectively. They are reliable and easy to use. Design qualities also compliment and enhance the college environment. We continue to provide support for these systems post-installation.